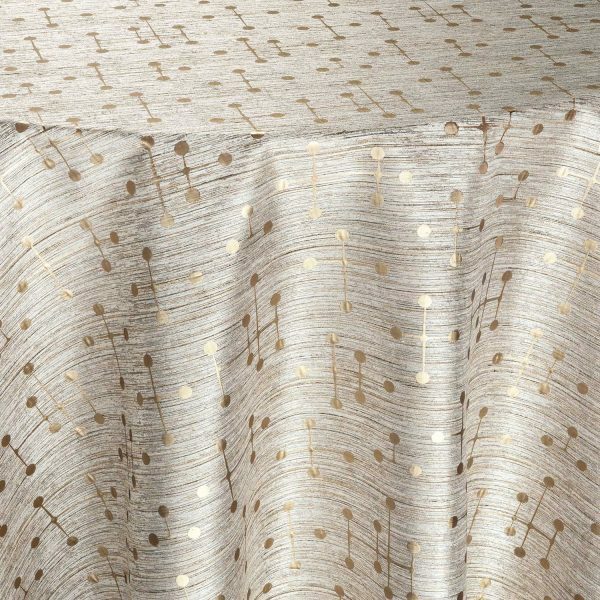 Retro is given a chic, modern twist with the pattern in Bronze Jacks linen. 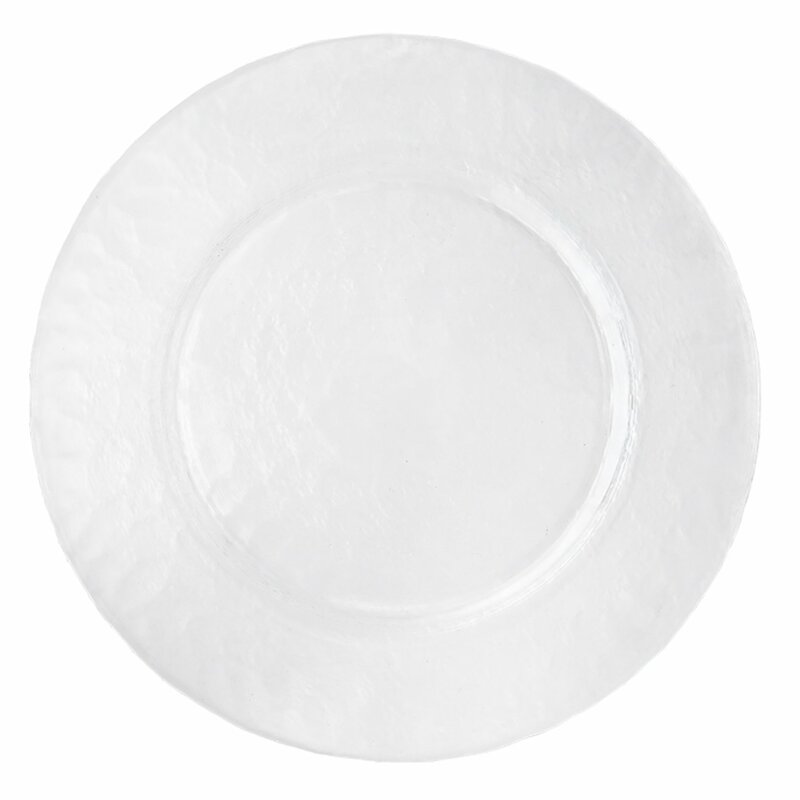 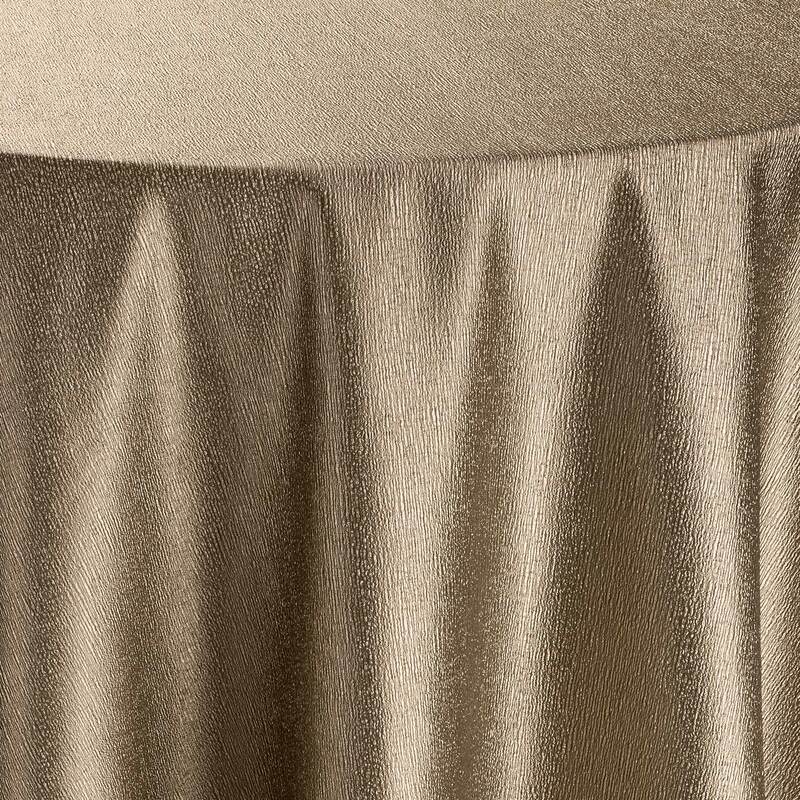 Subtle shimmering lines bring interest and texture to the unique bronze pattern laid over a metallic silver. 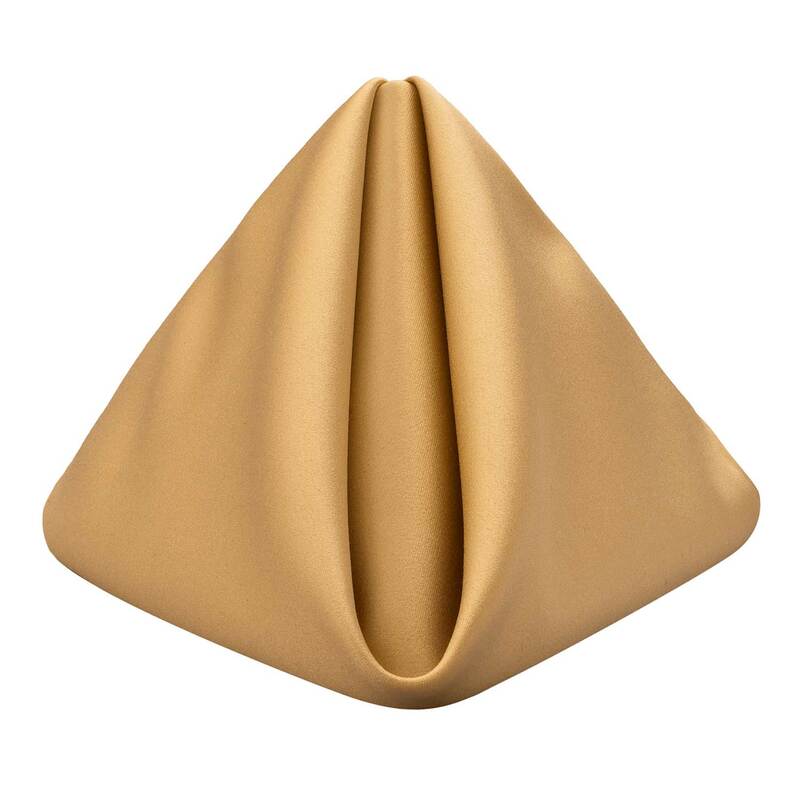 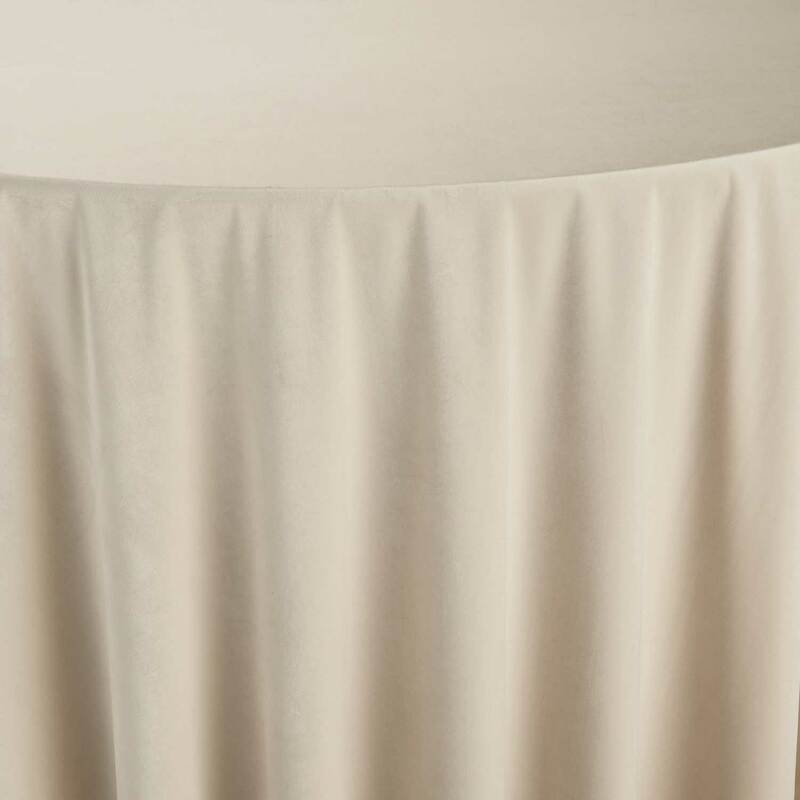 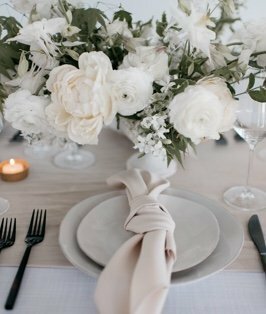 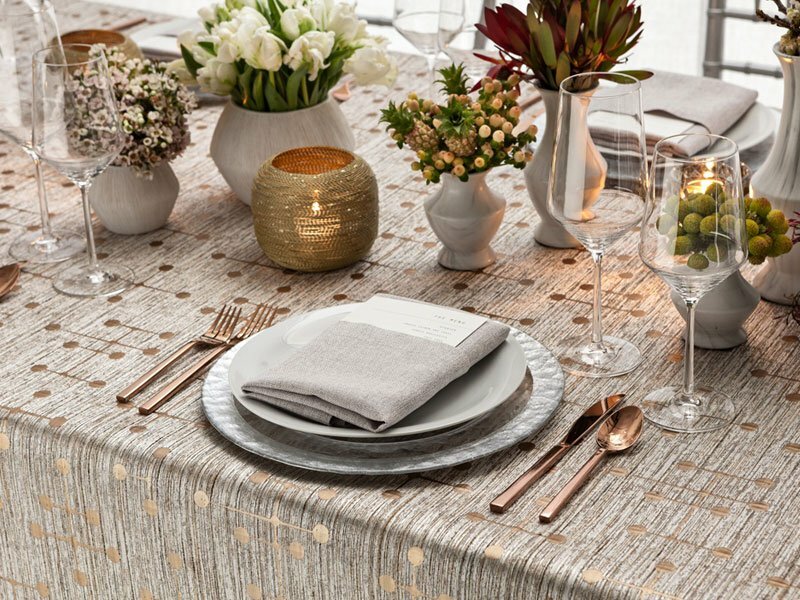 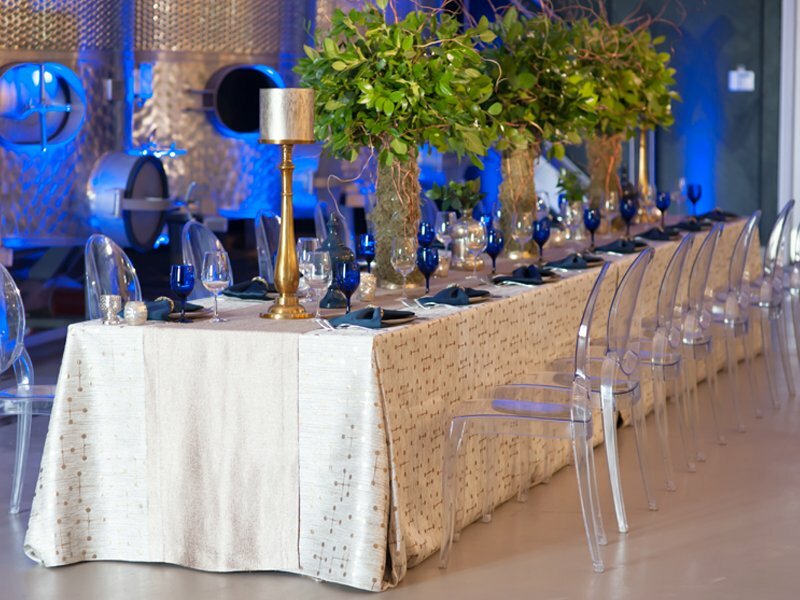 The Alloy Collection linen has metallic designs woven into a soft, shimmering fabric with a lovely drape – a stunning foundation for any special event table.